Battery appears to have the same capacity and performance as my original Harley one - time will tell if it lasts three years. However,unlike the original, the front terminal faces are not level with the front of the battery. If they were it would eliminate the brass spacer washers and the bolt would have more threads to screw into - I was very nervous of stripping the lead threads when tightening. 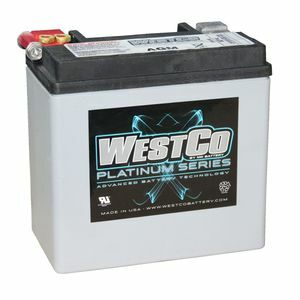 This battery is used on my Buell 1125R which you don't list! Excellent turnaround time, thank you.